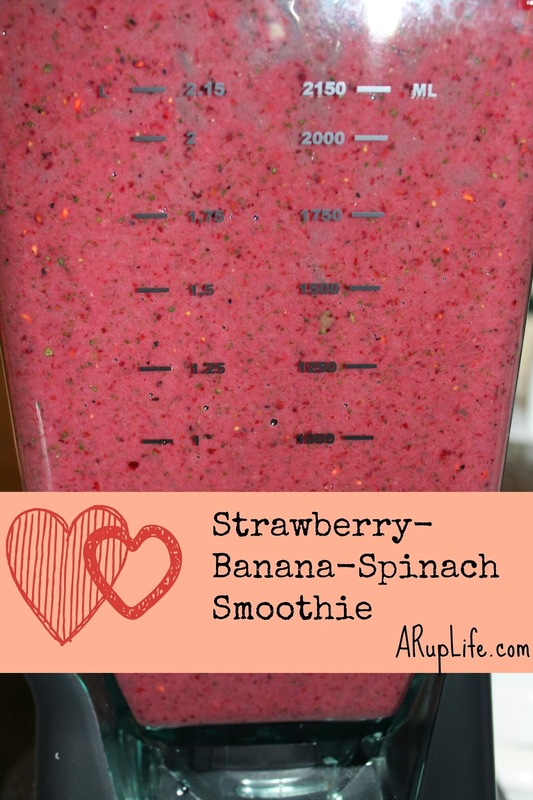 A RUP LIFE: Strawberry-Banana-Spinach Smoothie Mmmmm! My sweet husband bought me a Ninja blender for Christmas. I'm not really sure what to use it for other than milkshakes or smoothies so I thought I would share what I end up making with you all! I love the color! I'm not sold on the Ninja yet but I think I might have figured it out. Anything with seeds needs to be on crush first then blend. That seems to do better than just straight crush or blend. This one tasted nice and fresh. Wow, sounds perfect, especially now when Mark is still on soft diet only. 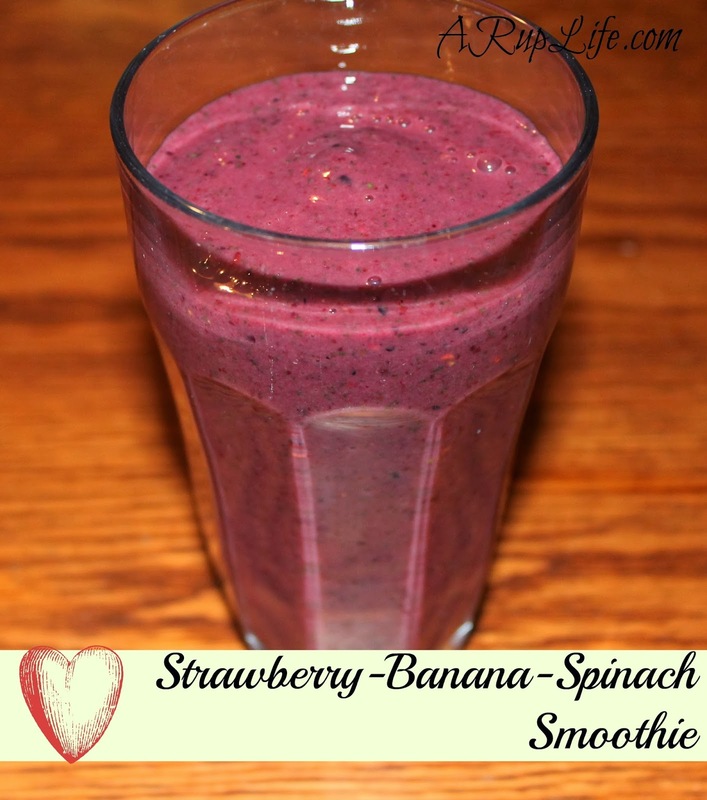 This sounds really good, especially since I have a cold and need extra nutritious foods. Yum! Looks great. 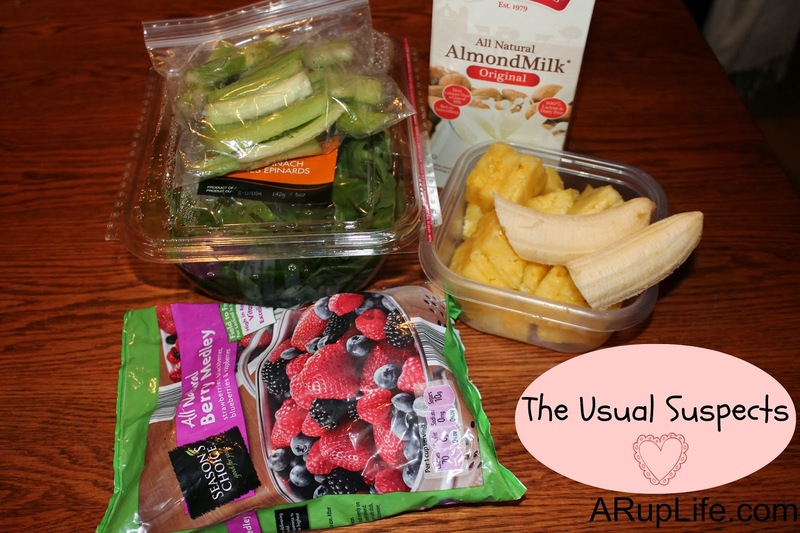 Always looking for new smoothie ideas!